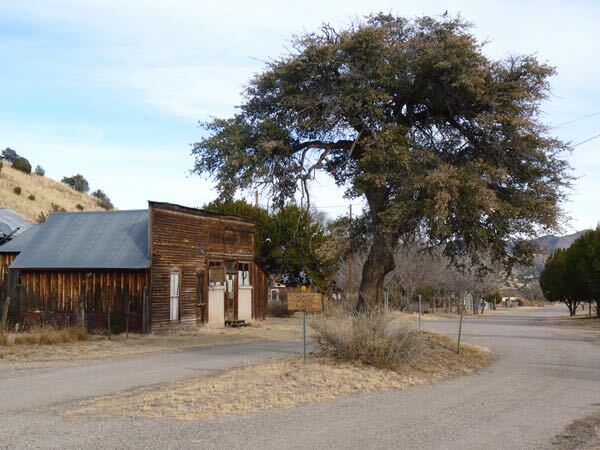 A former silver mining town, Chloride once had about 3,000 residents. But today, there are only 11 living there. Most of the town has been bought up by one family. 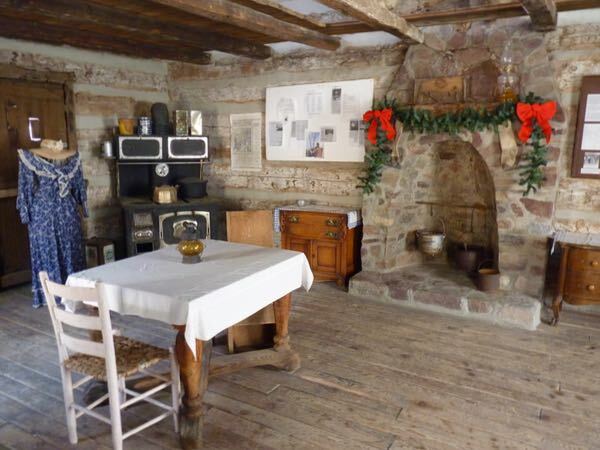 They’ve done a nice job restoring many of the original buildings; and now, much of the town is like a museum. 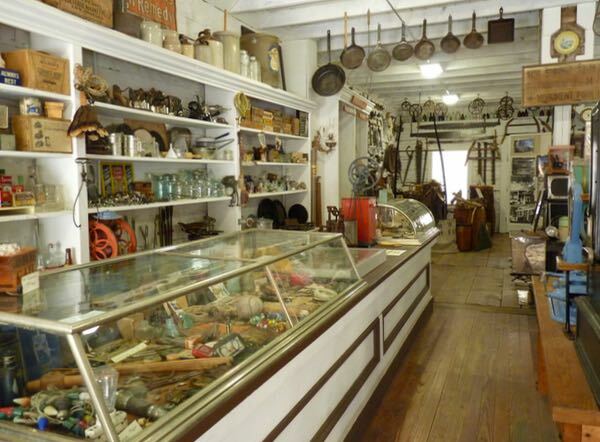 The Pioneer Store was closed in 1923, then re-opened as a museum 75 years later with the same goods inside. 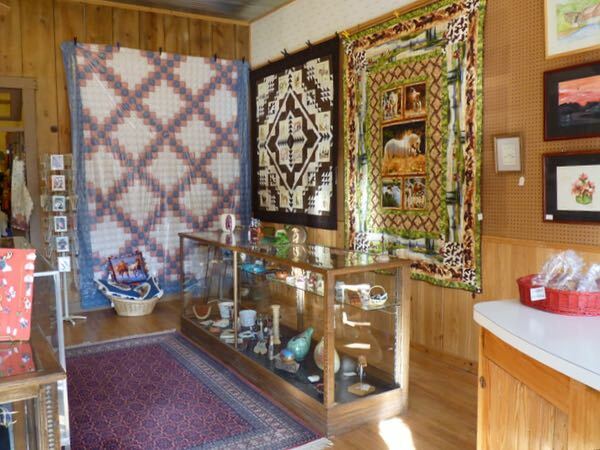 Of course, the large variety of items on display have been cleaned up. 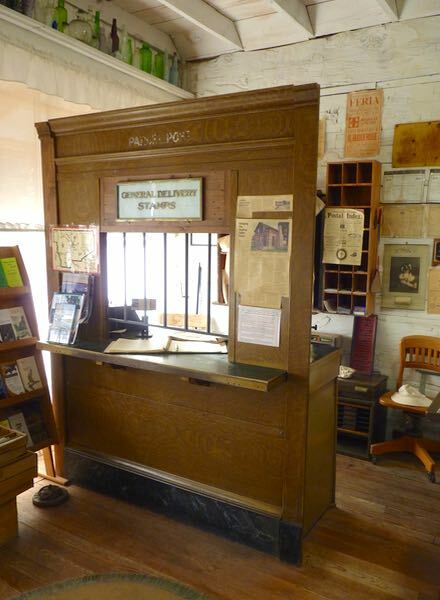 In one corner, sets a post office just as it was back then. Being in the store was like stepping back in time. 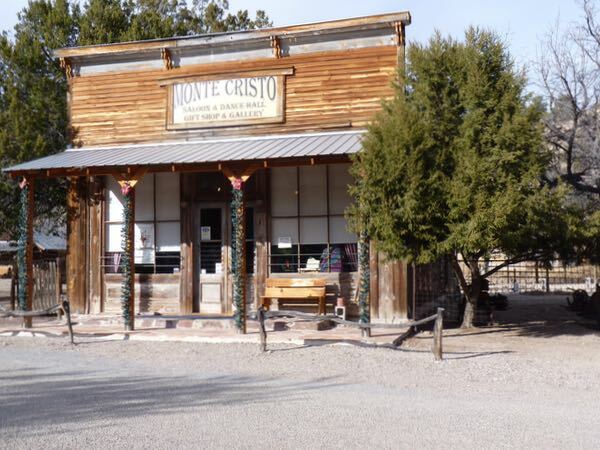 An adobe building next door was the Monte Cristo Saloon and Dance Hall. 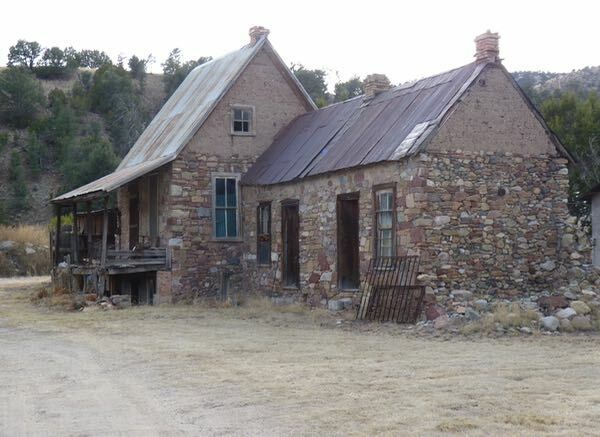 Through the years, it also served as a mining company headquarters and a schoolhouse. It is now a gift shop and gallery. 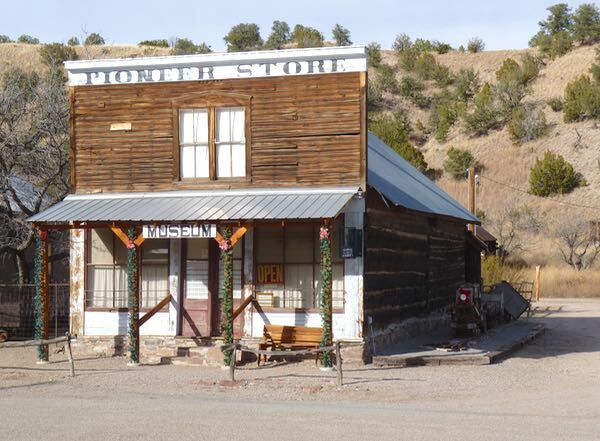 Both the store and the saloon are on the State Register of Historic Buildings. 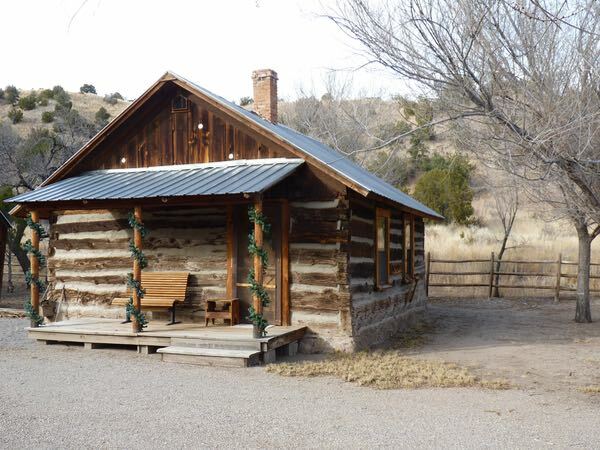 Around the store and saloon were some original log cabins that now serve as vacation rentals. There were also some RV sites with hook-ups. The only remaining cabin in Grafton, a no longer existing nearby town, was moved to a site next to the store. Across the street, the former Choride Bank has been converted to a café. A block or so away was the Doodle Dum workshop; one of the few rock buildings in town. There were many other buildings I did not get to see, because I was out of time. On the way out of town, the Hanging Tree sat in the middle of the street to remind one to behave. 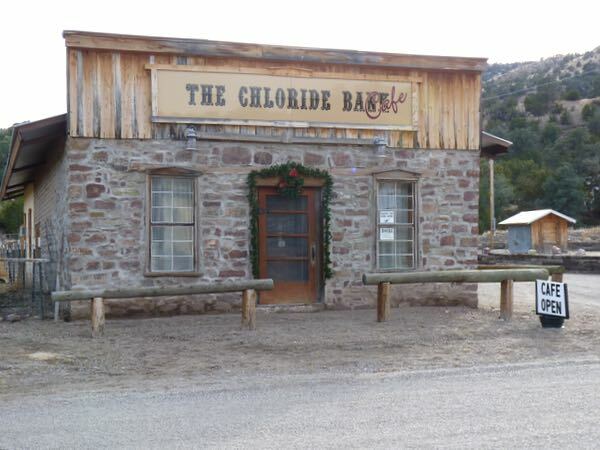 Chloride was very interesting, and I didn’t see near enough. A return visit for more exploring will be needed. Winston was also a mining town; but, little remains from the past. The folks now living there prefer the solitude of being 45 miles away from others. Most seem to have horses and RVs. 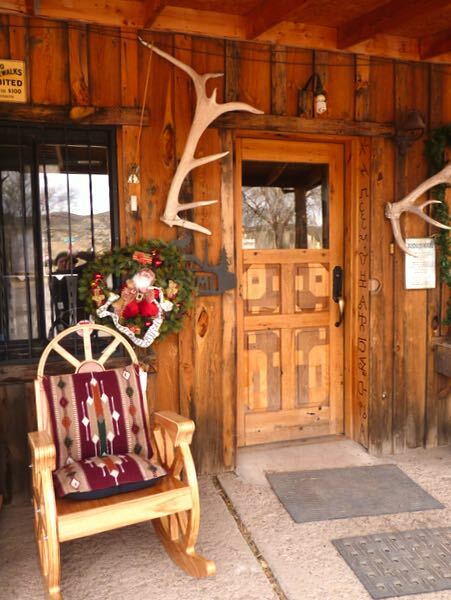 Setting at the base of the Black Range mountains and next to the Gila National Forest it certainly is a place to get away from it all. 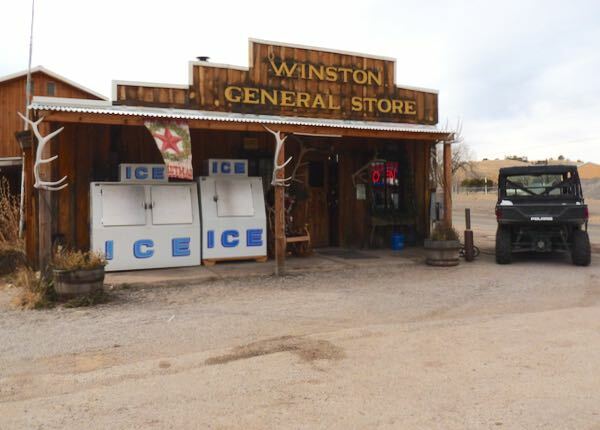 The Winston General Store had just about anything you might want. 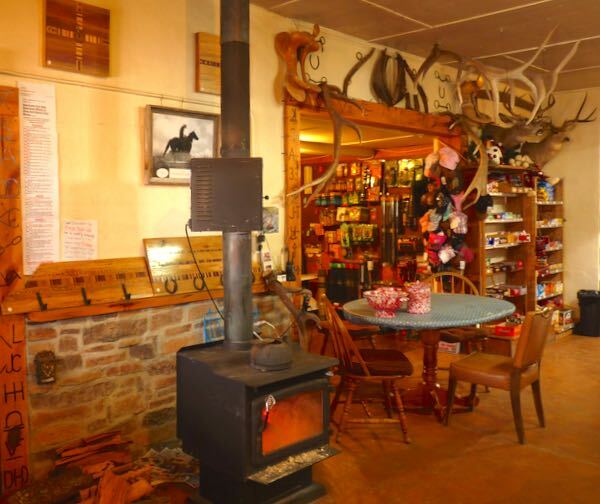 Food, drinks, ice, hats, clothes, blankets, hunting and fishing gear, gas, propane, etc. I stopped for lunch and had a delicious homemade (serve yourself) bar-b-que sandwich. I should have spent more time at Chloride and Winston; but, I had a meet-up with a friend scheduled. So, I had to leave in order to be on time. Hwy 52, that goes to Winston, continues on back north to hwy 60. It is some really beautiful country along that road. Many of the FR roads in that area lead to some fantastic free camping areas. I have meandered along a lot of FR roads in that area and had some nice adventures in some incredibly remote places. Thanks for the tip Barney. I hope to explore that area when the weather gets more conducive in the Spring. Thanks for sharing. I’m adding this to my bucket list. You’re welcome! If you like history and old stuff, then you should enjoy it.